President Trump announced Friday that a former host for a conservative news network is his pick for U.S. ambassador to the United Nations. If the Senate confirms the nomination of Heather Nauert, who has worked at the State Department since April 2017, she will succeed Nikki Haley at the U.N. early next year. 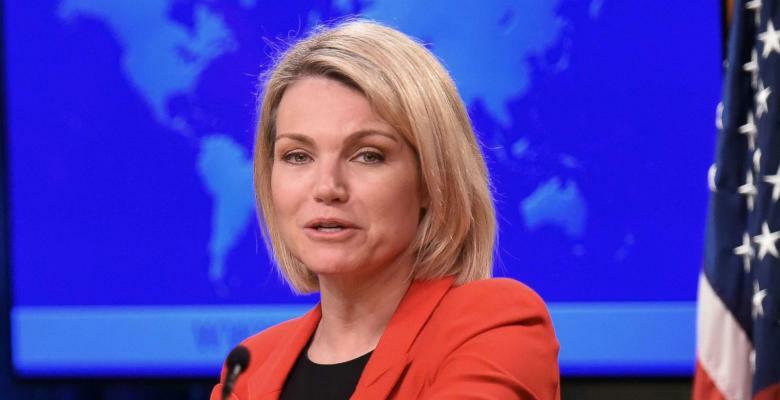 Nauert began as a spokeswoman for the department, becoming the acting undersecretary for public diplomacy and public affairs in March. However, it is unknown how much the nominee knows about complex Middle East issues. Nauert also would have to get up to speed on details about U.S. conflicts with North Korea and Iran. In addition, she must defend the U.S. role in Yemen, where a Saudi Arabian-led coalition has created a humanitarian crisis. Many congressional Democrats are demanding that the United States stop providing weapons and logistical support to the assault on Yemen. They also are outraged that, according to U.S. intelligence agencies, the Saudi leader ordered the assassination of U.S.-based journalist Jamal Khashoggi. Trump continues to support the kingdom, perhaps because Saudi diplomats pour money into the president's pockets by staying at his hotel in Washington, D.C.
Haley broke tradition by becoming a member of the president's Cabinet. Nauert may not have the same status. According to CNN, Secretary of State Mike Pompeo and national security adviser John Bolton have called for removing the ambassador from the Cabinet. “Foreign diplomats will read that as a concrete signal ... that the post is being partly downgraded,” said Richard Gowan, a senior fellow at the U.N. University in New York City. Nauert was a host and reporter for Fox News from 1998 to 2005, before she went to ABC News. She returned to Fox in 2007, and later became a fixture on the “Fox & Friends” show. The television network is known as Trump's favorite source of news, because of its support of his policies. Haley is stepping down following two years as the U.S. ambassador to the U.N. Political pundits predict that the former South Carolina governor could have a bright political future.